It's a little scary how much we spend on Halloween. 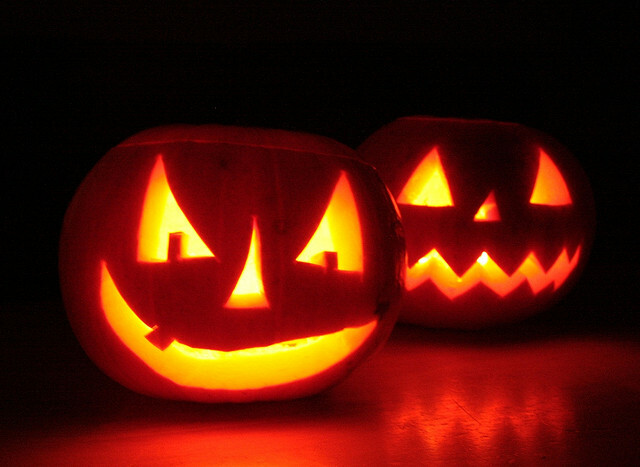 The origins of our contemporary celebration of Halloween are many and varied. Parts of our present day observations come from the 2,000 year old Celtic festival of Sanheim. Held on November 1, it marked the celebration of the harvest and the change from summer to winter, light to darkness and life to death. The ancient Romans had two celebrations to commemorate the dead: In the seventh and eighth centuries, Catholic Popes established All Martyrs Day and All Saints Day (in Middle English: All Hallows Day) to commemorate those who had died for the faith and all loved ones who had gone before us. Celebrations included feasts, bonfires and dancing, and costumes that made light of our collective human fear of death. Today the only direct links to Halloween of the past are the macabre costumes – skeletons, deformed creatures, mummies, ghosts, mangled cadavers – that both adults and children wear. None of them, I’m sure, are worn to intentionally satirize the terrors of the human condition and death. Halloween is no longer about spirits, ghosts, the fear of death or thankfulness for an abundant harvest; now it&apos;s a purely secular event about parties, candy and costumes for children and adults alike. And hey, what’s wrong with that? According to the National Retail Federation, Americans are expected to spend an average of $79.82 per customer on Halloween decorations, costumes and candy this year. The final tally will be between $6 and $8 billion. BIGresearch, a consumer intelligence provider, predicts that 71.5 percent of Americans plan to observe the holiday in some fashion. I for one think that one reason, if not the main reason, for Halloween’s popularity is that it gives people an excuse to dress up and temporarily take on a different persona. Putting aside the time and effort many parents invest in their kids’ costumes for school, more and more adults are attending house parties and costume balls held at hotels, church basements, clubs and restaurants. Last year my wife and I thoughtlessly went to a restaurant on Halloween – we were the only people not in costume. (I tried to fake it by telling our waiters that we were dressed up as a middle-age, middle-class couple but she didn’t buy it). This year my wife has taken steps to avoid repeating last Halloween’s faux pas. We’re going to a costume ball at the Drake and I’m going as Desi Arnaz: I’ll be wearing a tuxedo, a loud cummerbund, my hair will be combed in a pompadour, and I’ll be carrying bongos. My wife will, of course, be Lucy. She’ll be in a perfect 1950s suit with matching purse and shoes (she already has red hair, so she won’t be wearing a wig!). Frankly, I’m looking forward to it. I hope to see a few friends there as well. Of course, if their costumes are really good, I probably won’t be able to recognize them. Correction: An earlier version of this story mistakenly stated that Halloween is the largest commericial holiday next to Christmas.